We take seriously our stewardship of resources with an independent board that meets regularly, frequent public communication, and an annual financial compilation by a CPA firm. The Evangelical Council for Financial Accountability provides accreditation to leading Christian nonprofit organizations that faithfully demonstrate compliance with established standards for financial accountability, transparency, fundraising, and board governance. Resources for the Blind International received this accreditation in 2011 and has maintained it each year. Learn more about ECFA here or our accreditation with them here. 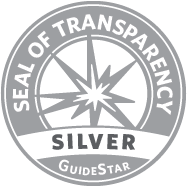 They award various participant levels based on transparency and information disclosure. We maintain a silver level of participation.